The ESP line gets a redesign with advanced plastic technology. The NEW ESP line by Discraft features improved durability and strength, tackier grip and unique swirl color combos. The 2018 versions will showcase the new Universal Four Flight Number System with the current Discraft Stability Rating. The 2014 Ace Race disc is now the Heat! Bring some Heat when you want the best distance potential from a new or developing player. The Heat does everything. It is great for all skill levels as it is slightly understable. But bigger arms shouldn’t shy away either. This disc does what you want it to. Powered down, it has point and shoot accuracy. Also can be powered up for long anhyzer shots. Great for maneuvering your way through wooded courses. This is one of the most underrated molds that Discraft offers. I truly believe that every player in DG would benefit from having a Heat in the bag. They have amazing glide and a predictable and consistent high speed turn. Being able to trust that turn allows you to manipulate the release angle of this disc easily to make it shape any shot you have in front of you. Great disc for new players and a deadly accurate weapon for experienced players. Trust me, put a heat in your bag and thank me later! I'm just starting my adventures into backhand throws. 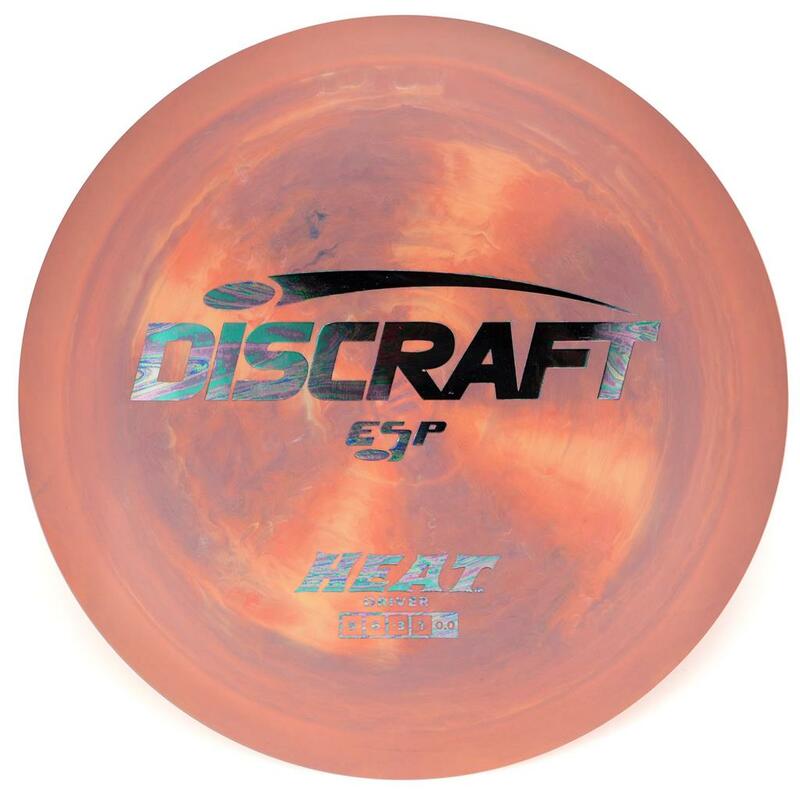 I was immediately drawn to the heat since I have a slower arm speed and I was directed to start throwing understable discs to begin with. This disc is very forgiving, goes straight and finishes to the left nicely.